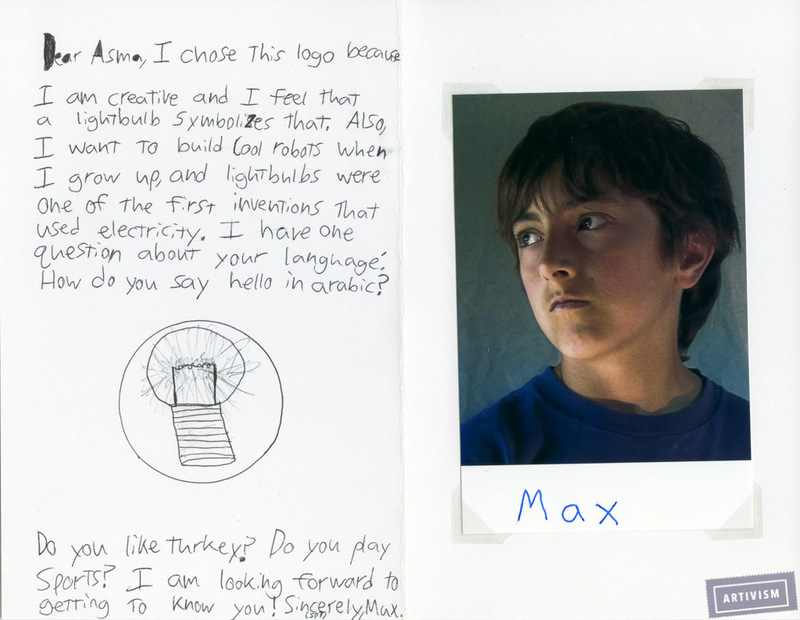 Last Tuesday I went to The Berkeley School to teach a class on making photo portraits, in the style I used to photograph the Syrian children in Turkey and Beirut. The twist is that we used cell phones and normal lights (from Ikea, actually). The kids picked up the idea right away. Then, naturally, they played with the light, the camera, costumes, and poses, which is really the idea. This is an art lesson that is supposed to be useful outside of class. Now, even this idea has therapeutic uses. One of the issues refugees deal with is the breakdown of their former communities due to war and relocation. The art exchange is a way to contribute to a renewed sense of community, and exchanging personal portraits makes that connection even more real. One goal of the exercise is to give the power to create a dignified, beautiful portrait of oneself and one’s friends. These are not “refugee” portraits, these are flattering, supportive, and positive pictures of people. So, not only does the exercise give an empowering tool, it allows the kids to see themselves (literally) in a positive light.